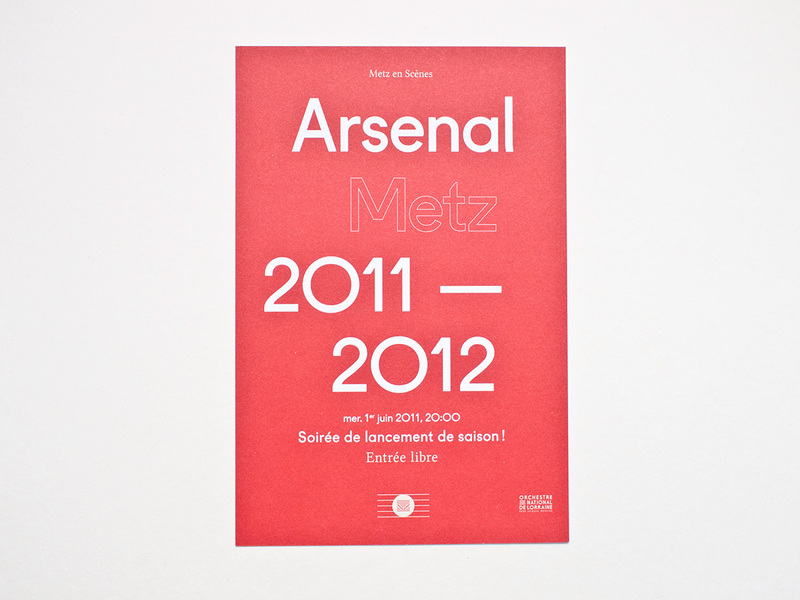 Arsenal is a classical concert venue in Metz. 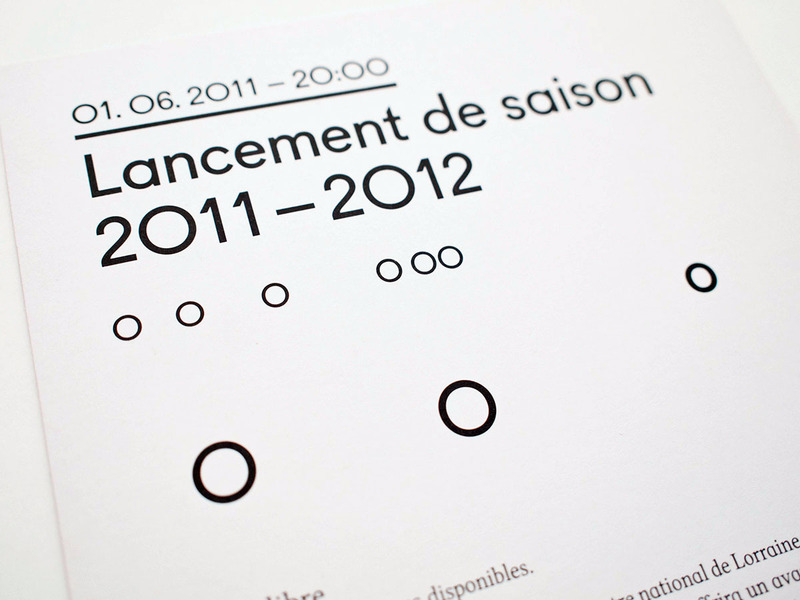 With Pierre, Damien and Frédéric, we are in charge of the season communication. 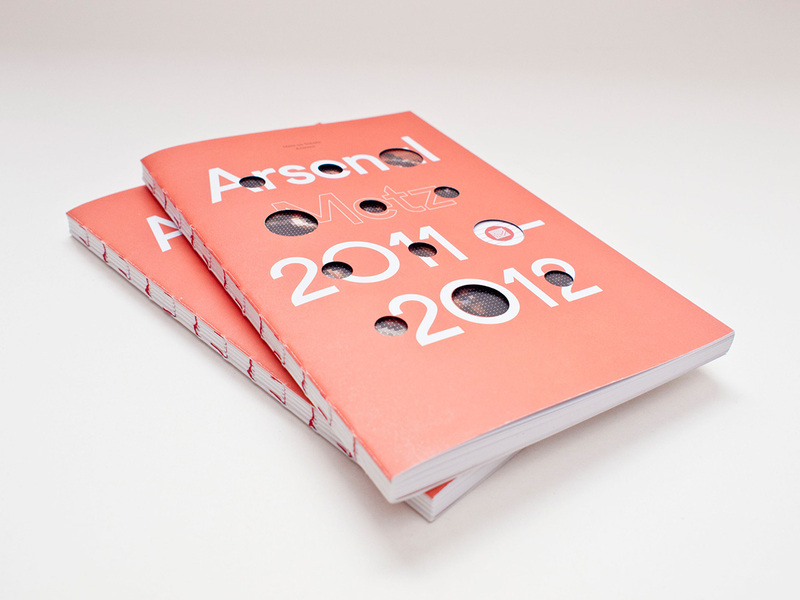 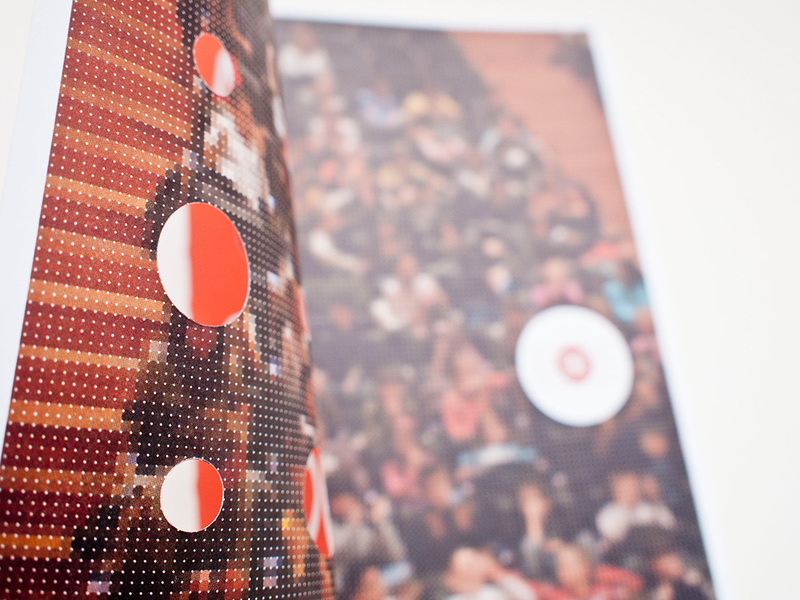 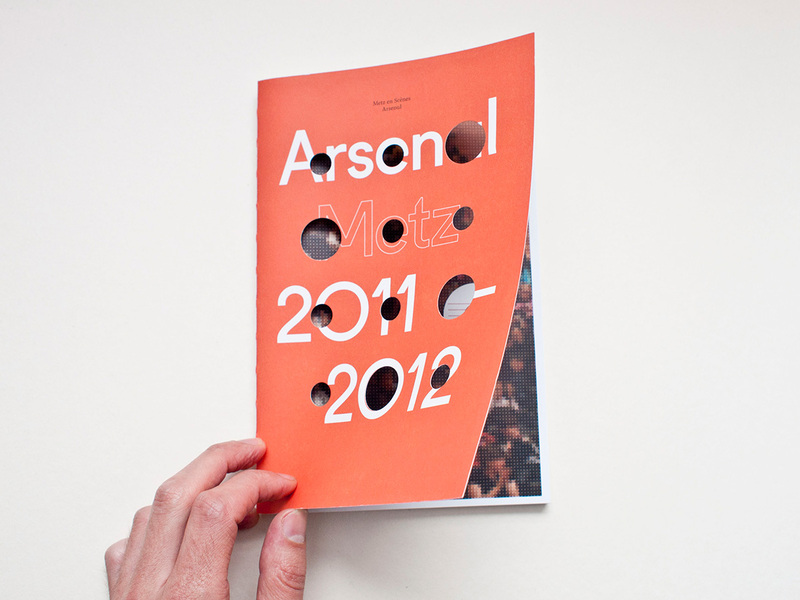 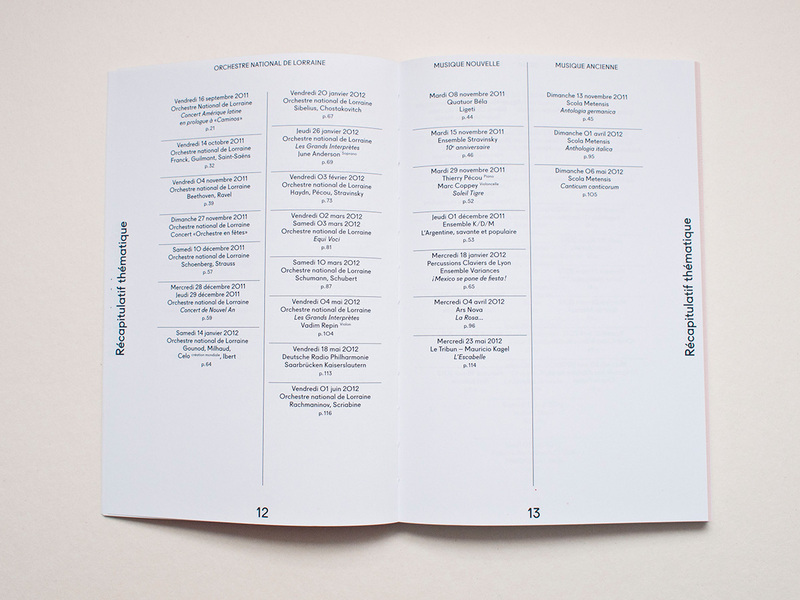 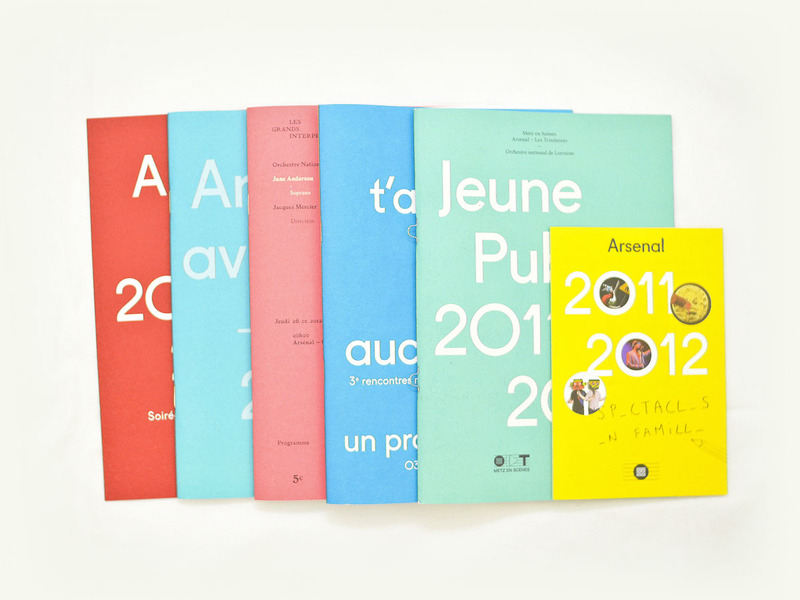 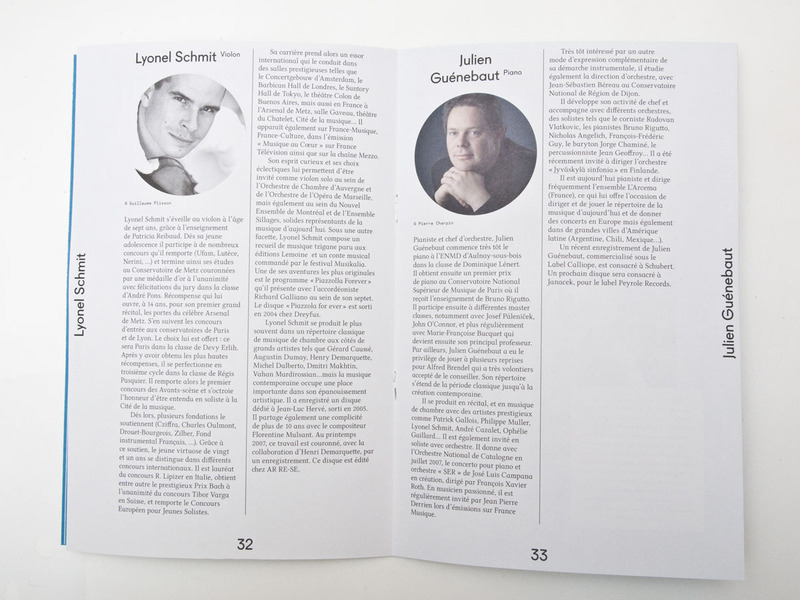 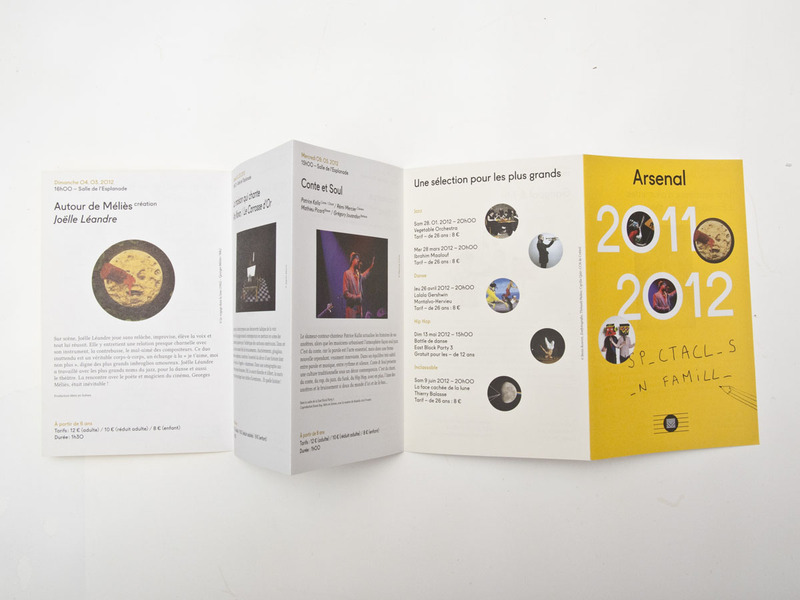 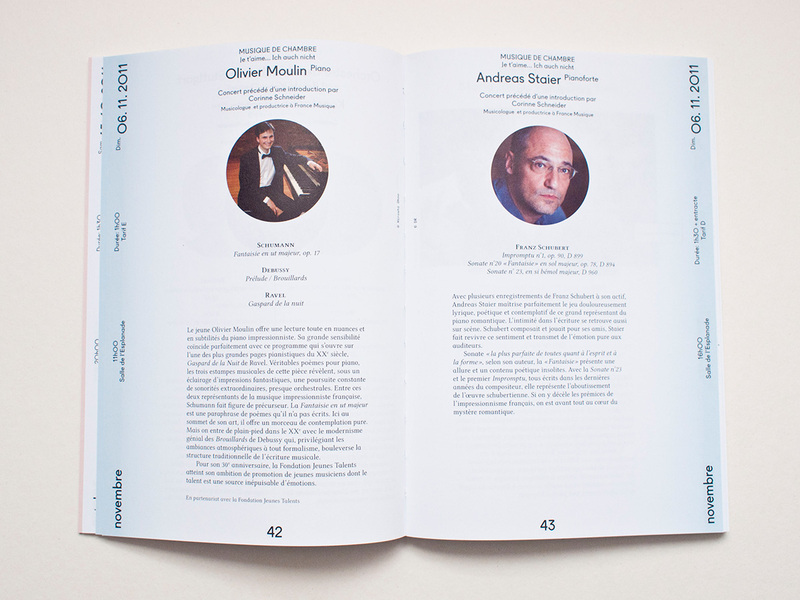 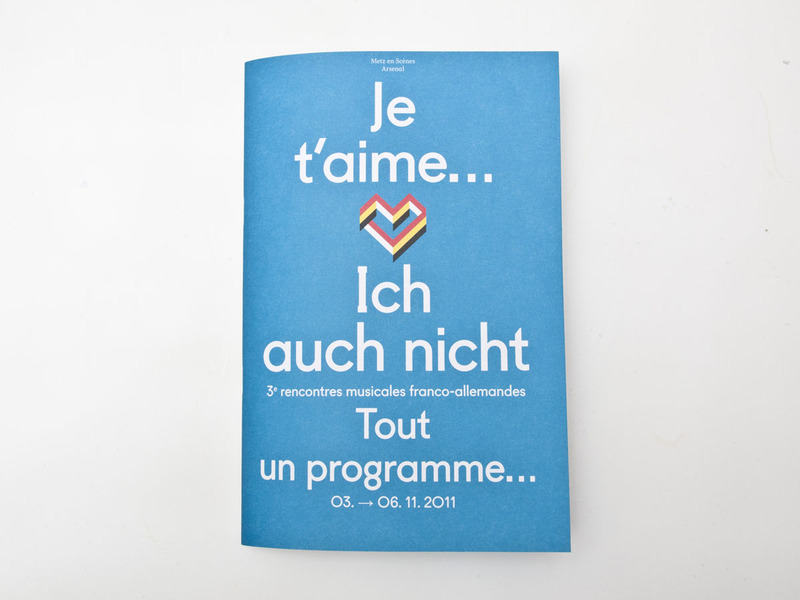 Annual program is a 160 pages book printed on recycled paper. 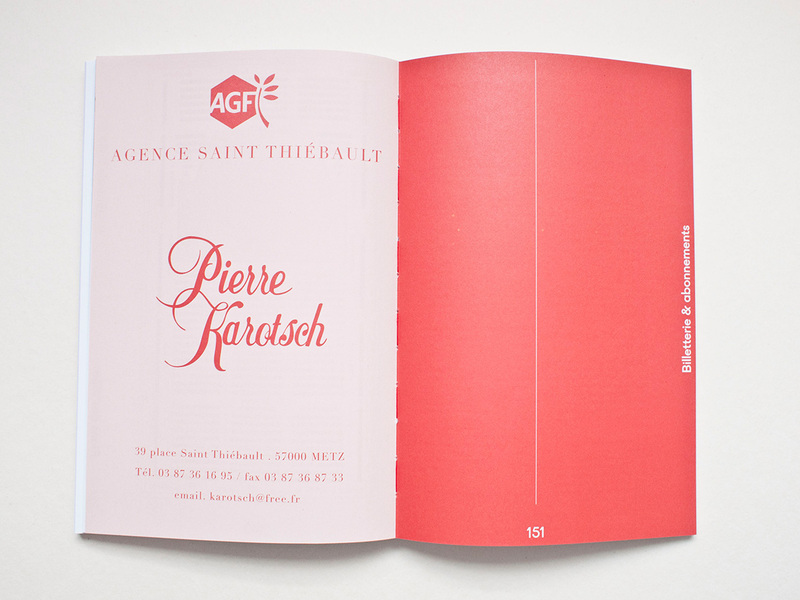 This year, we decided to work with a red Pantone color. 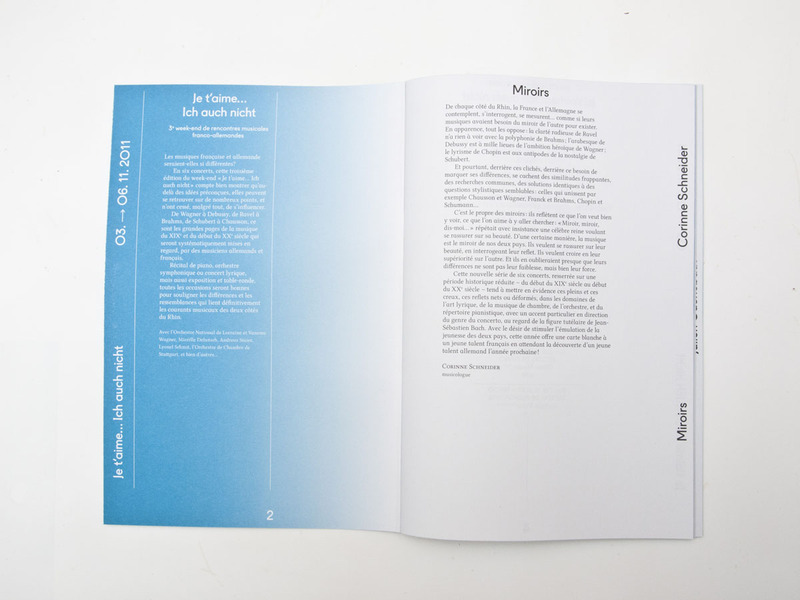 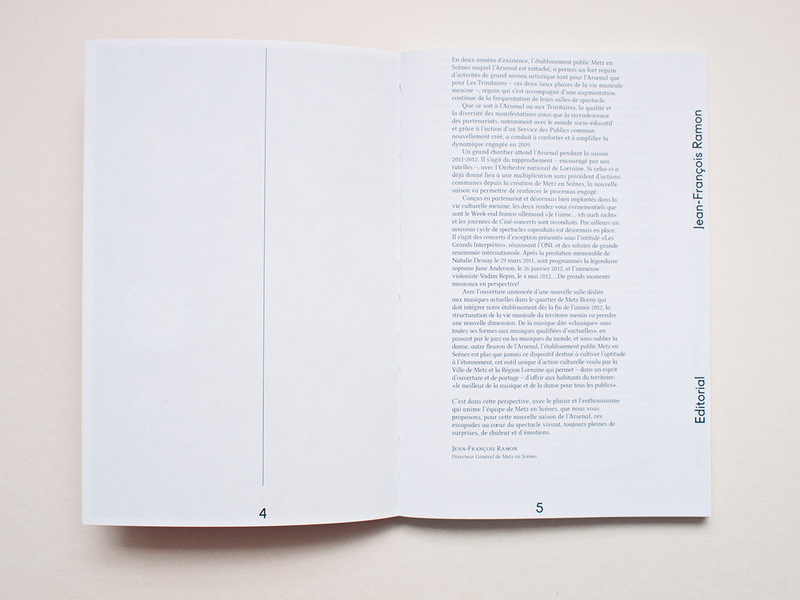 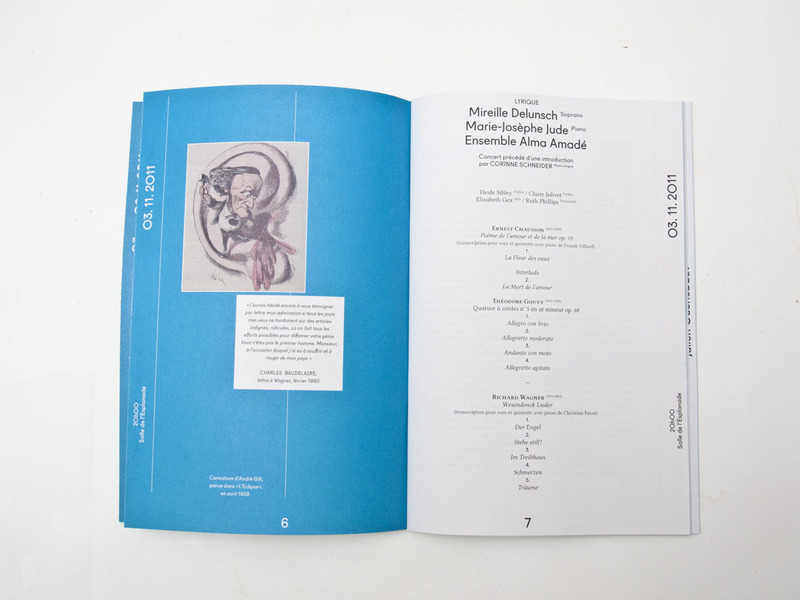 The cover is only on the first and last folios folio wich means jumping directly to the 36th page while leafing the book… where the program starts. 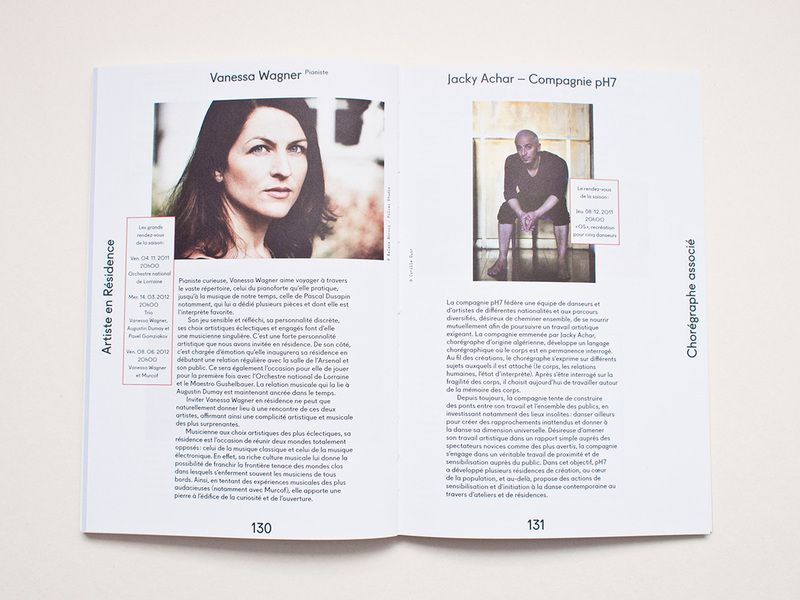 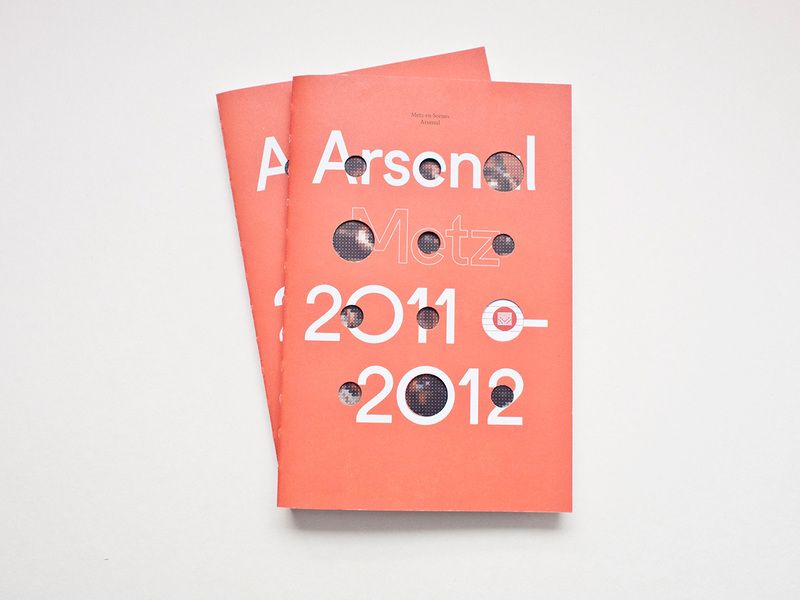 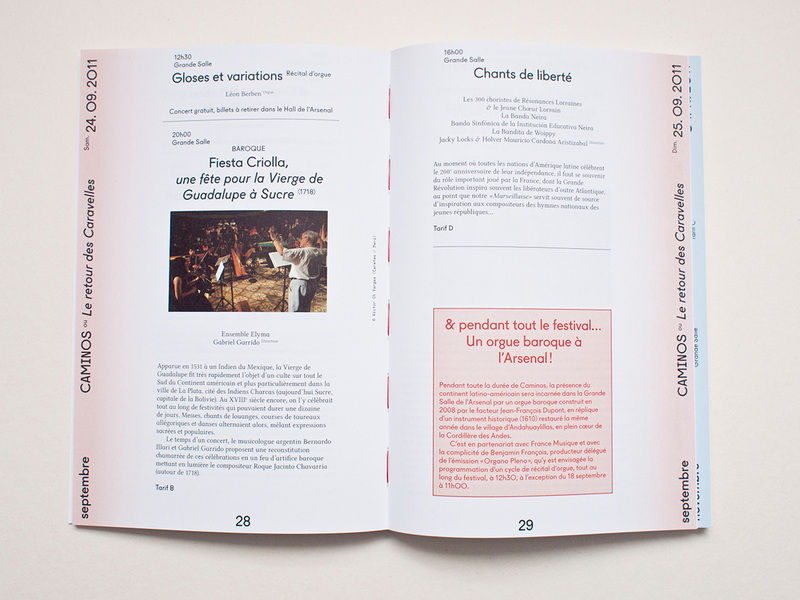 The first 36 pages contains information and the followers are the season presentation. 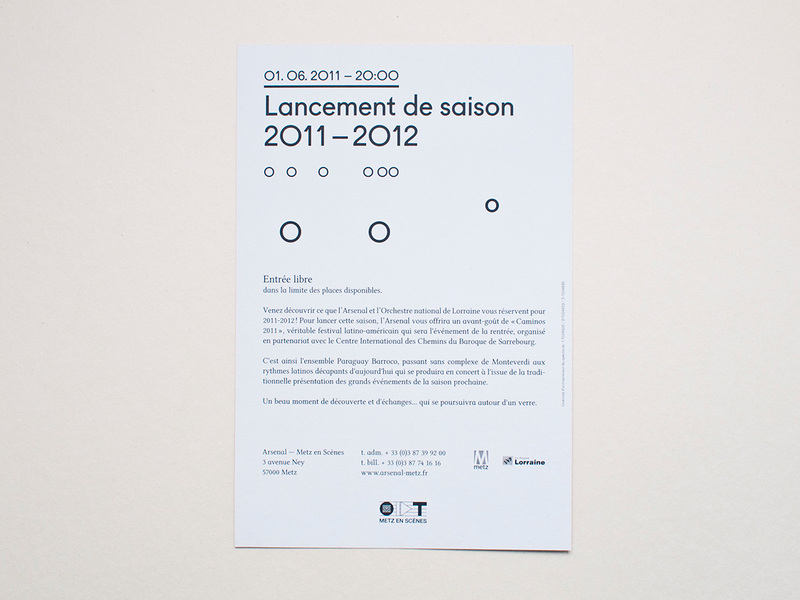 The main point of the identity is a simple circle. 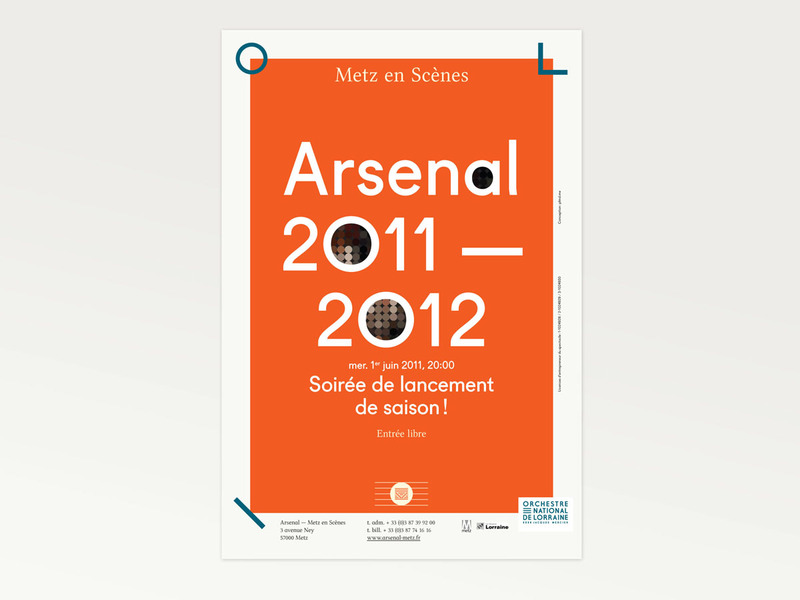 1 / We replace all number « 0 » and letters « O » by perfect circles on all title and posters elements. 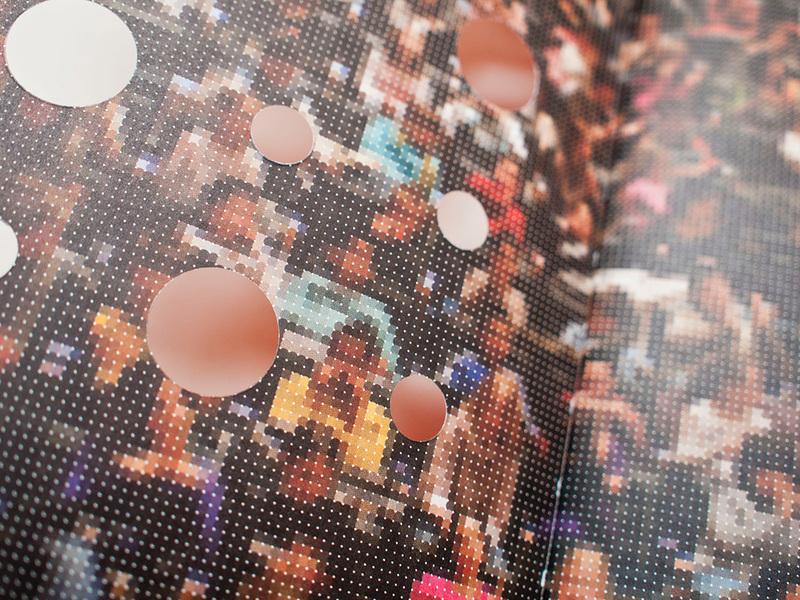 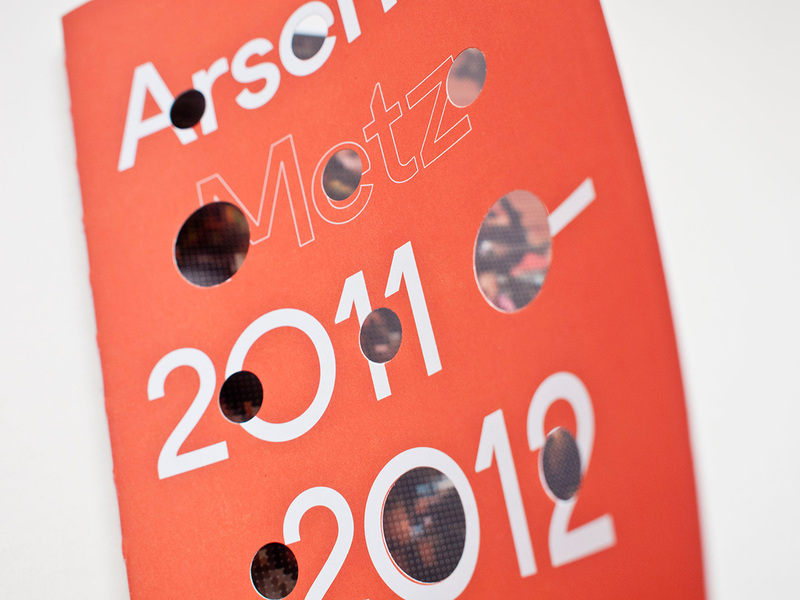 3 / we cut the cover with circles. 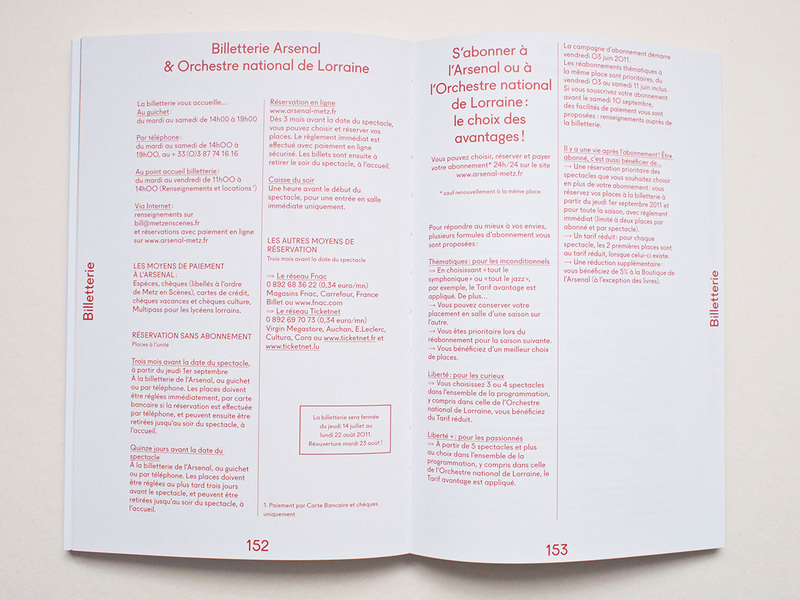 4/ « O » and « o » are isolated from the text to compose a musical element on documents.